Bissell is offering their TV audience the opportunity to purchase their Bissell Pet Hair Eraser Upright Vacuum and receive a free Pet Hair Eraser Hand vacuum at www.bissellpetvac.com. Customers can get the Bissell Pet Hair Eraser As Seen On TV offer for a onetime payment of $249.49 or take advantage of the affordable 5 payments of $49.99 per month. The deal comes with free shipping and a 60-day money back guarantee. What comes with the vacuum? Pet Hair Eraser Tool with Funk Fresh, Shedaway Tool, Scoop and Sweep Tool, 5-year extended warranty, and a bonus free Bissell Pet Eraser Handheld vacuum. 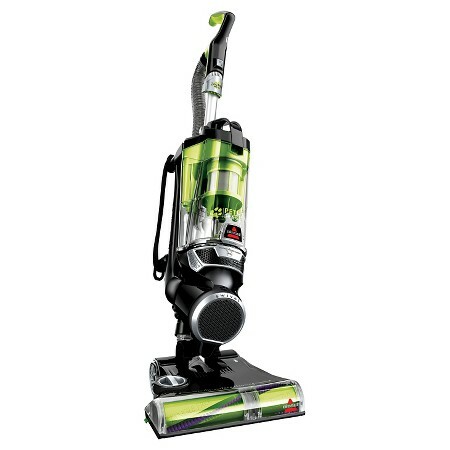 On Amazon.com the Bissell Pet Eraser Upright Vacuum has over 270 customer reviews and customers have given the vacuum a rating of 4.1 out of 5 stars. The Pet Hair Eraser Hand Vacuum has over 60 customer reviews and they’ve given this product a 4.6 out of 5 stars as well. Both products according to customers are excellent at doing their job of picking up pet hair and leaving your home clean. Customers can shop and compare pricing for both items at Amazon.com, the Bissell Pet Vac is a few dollars cheaper on Amazon. Visit Amazon.com to read reviews and purchase here. Pet owners need a vacuum that is designed for them and in the case of the Bissell Pet Eraser Upright Vacuum it was developed from the ground up by pet parents for pet parents. What is different about the Bissell Pet Eraser is it will do a great job of picking up pet hair and you won’t have to spend any time cleaning it afterwards due to leftover pet hair which typically clogs up ordinary vacuums.